In the continental law system, more attention is paid to judicial interpretation to judge legal facts or actions than judicial precedents. Therefore, in the continental legal system, it is appropriate to express the law itself with knowledge such as legal ontologies or logical rules. 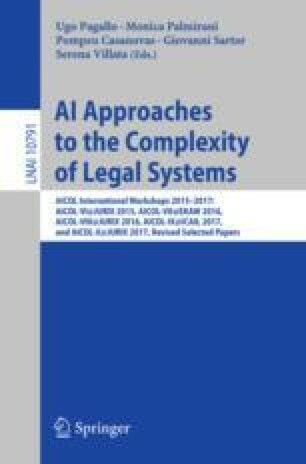 To construct legal ontologies and rule-based methods, legal analysis by collaboration between legal experts and knowledge engineers should be preceded. This paper proposes a general model for designing criminal law ontologies and rules. First, we introduce the super-domain ontology that contains the common characteristics of criminal law. Then, we explain the rule design method of criminal law and present the application of the anti-graft act in Korea as an example.